Automate the collection, disbursement and management of school activity funds so administrators can save time and resources and districts can increase transparency of the flow of funds. With tight budgets and reduced headcounts, schools and districts are under more pressure than ever to provide transparency into their financials. To be successful, more and more schools are looking towards affordable solutions that can give them crystal clear school activity fund accounting. Active Network's easy school accounting system, SchoolBooks®, not only provides that needed clarity, but automates the collection, disbursement and management of all funds so administrators can save time and resources. Active's online school accounting software is custom for your industry��it was developed specifically for K-12 schools and school districts to help them manage and simplify school activity fund accounting. It's easy for anyone, even a new user with less-than-savvy computer skills, to pick up and use. 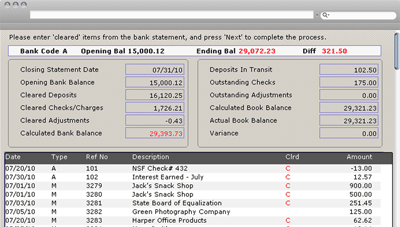 You can: track amounts paid; print receipts quickly; create bank deposit entries; view and share detailed financial reports at any time; perform bank reconciliations; and more. Most importantly, you'll get the transparency you need and be able to provide an iron clad audit trail of revenue, expenditures, transfers and adjustments for all of your student activity accounts. We use SchoolBooks for everything related to money in our school. It's comprehensive and has made our accounting processes so much better. SchoolBooks really takes care of everything. I don't think I could do anything without the reports, and I like the adjustments and transfers. It makes it easy to import all purchase orders.